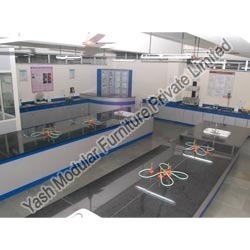 We are known in the industry as one of the leading manufacturer of a wide range of Lab Furniture. 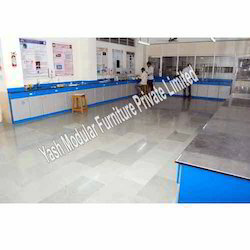 This range of products include Laboratory Furniture and Pharmacy Lab Furniture. These products are tested as per the international standards of quality before being delivered to the clients. We also alter the design and dimensions of these products to suit the specifications and instructions of our clients. We are the manufacturer of a wide array of high quality Pharmacy Lab Furniture. We also customize these products as per the needs and specifications of the clients. Tested as per the international standards ofquality, these products have high durability and ruggedness. *** We are looking for enquiries from Maharashtra only. These products are specially manufactured to resist corrosion due to exposure to adverse conditions and chemical reactions. We have the manufacture a wide array of Laboratory Furniture. These products are specially designed as per the requirements and specifications of the clients. Tested as per the international standards of quality, these products are quite popular in the industry.